The Sennheiser e 609 Silver Dynamic Guitar Microphone makes getting killer electric guitar sounds in your project studio or onstage a cinch. 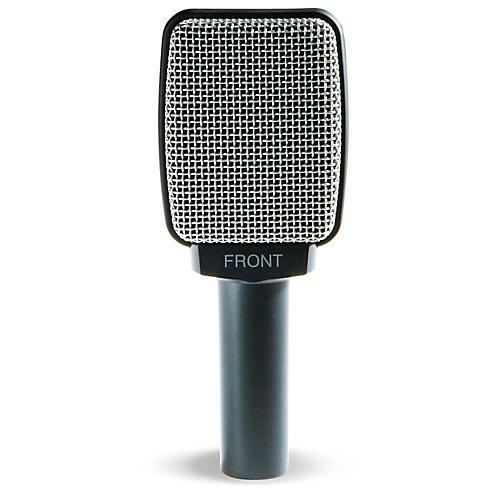 The supercardioid e 609 Silver instrument microphone has been specially developed for miking guitar cabs face on and extremely close to the signal source. Its laterally mounted capsule can get extremely close to the speaker while the supercardioid pattern provides isolation from other signals. The lightweight voice-coil construction and rigid dome diaphragm provide extended high-frequency performance and a long-wearing capsule assembly. Also suitable for miking drums, especially toms.